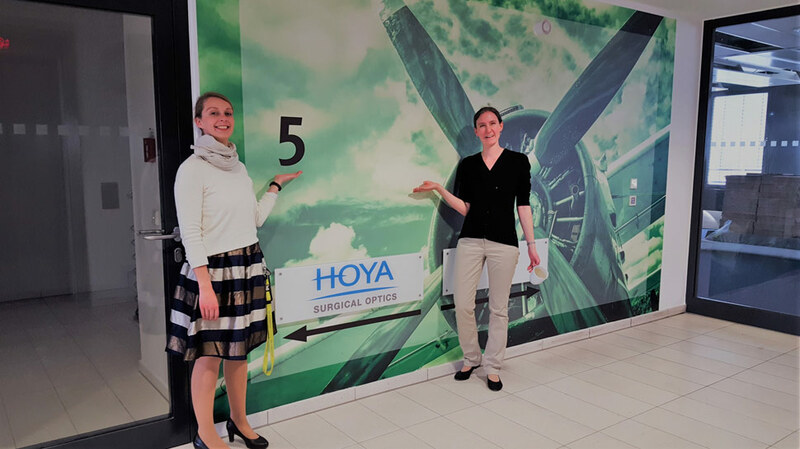 Following a period of strong organizational growth, on 27 June 2018 HOYA Surgical Optics opened new offices in Frankfurt. Boasting impressive 5th floor views of the air traffic in and out of Frankfurt Airport, the new office provides an ultra-modern yet comfortable working environment for HOYA personnel in Global and Regional Commercial, Marketing, Finance, Quality Assurance, Regulatory Affairs, Clinical Trial Management, Supply Chain, Logistics, Human Resources, and Customer Service roles. Do not hesitate to let us know if you are passing by. We will be happy to show you around.